We’ve mentioned this before, and we’ll mention it again: if you are worried about your home getting broken into and/or robbed, then one of the best things you can do for yourself is to look into purchasing a great, well-known video surveillance camera system. They are a fantastic way of knowing just what goes on around your property, whether you are at home or not. Another great place they can be used at is at a small business or company you may own, because you could never have too many security cameras. An added plus of having a surveillance system installed is that you’ll always have a record of the things that occur on your property, such as in the case of anyone getting hurt or injured. One surveillance camera system that we’ve researched and are confident will suit all of your home security needs is the Swann 4-Channel DVR4-2550 Surveillance Camera. With the Swann 4-Channel DVR4-2550 Surveillance Camera you will be able to monitor anything in the vicinity of four surveillance cameras. 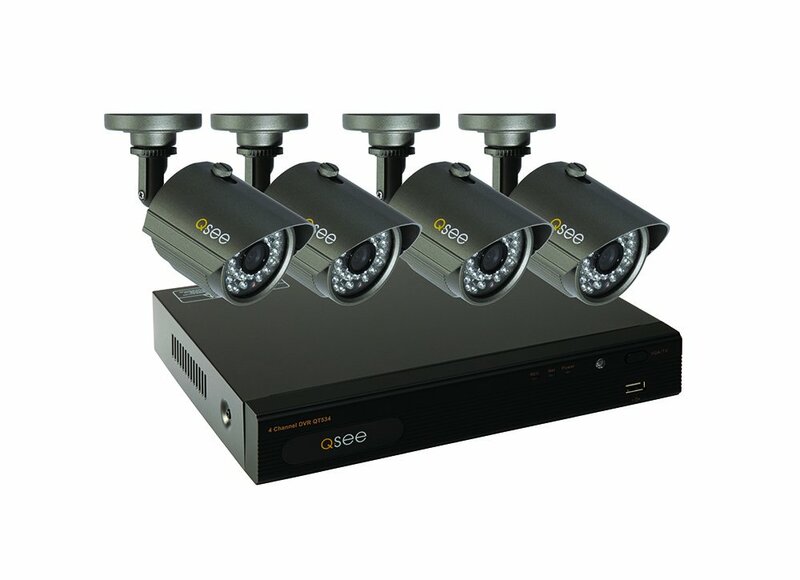 As mentioned, this particular product comes with four surveillance cameras. They can be placed inside or around the outside of your home or even company building. Of course, it’s not only the cameras that you receive. Also in your package there will be an Ethernet cable, mounting screws and plugs, extension cable, software disc, power adapters and splitter, mouse and a pre-installed 500 GB hard drive. And let’s not forget about the triple A batteries. The Swann surveillance cameras are easy to set up. All that needs to be done is to securely place them wherever you deem necessary and next step is to scan the QR code and you will be able to watch your surroundings live either on your phone, such as your Smartphone, or iPhone, iPad, BlackBerry or Android devices and much more, at the same time, you will receive a notification by email should you need to be alerted of something. This product is loved and used by thousands upon thousands and it has an average star rating of 3.8 out of 5 from the 90 consumers who decided to use the rating system. 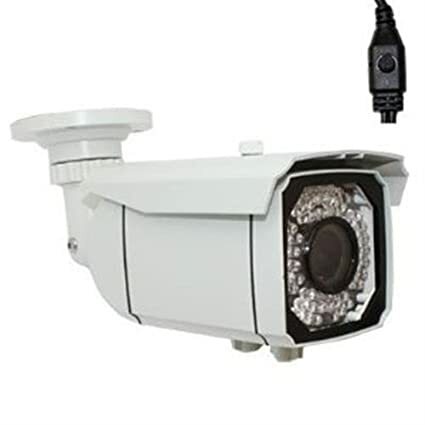 The Swann surveillance camera systems price ranges from about $200.00 – $300.00, depending on whether you want entirely new or used surveillance cameras. It is definitely worth the cost because of its job well done. Access: With the connection to your phone and/or Android devices, you will always have that instant access to see what exactly is going on around your house, apartment, townhouse or hobbit hole. Quality: Of course these four surveillance cameras will be able to record in high quality, giving you that clear, crisp image and smooth video recording. Power: With great power comes responsibility. Allows you to record for up to 60 days nonstop with the included 500 GB hard drive! Resistance: Each camera you receive will obviously be resistant to any type of weather; rain, snow, wind, etc. It allows you to set up your cameras anywhere you desire, without the worry of them being damaged by weather. What it sees: The Swann surveillance cameras have powerful night vision which can reach up to about 33 feet/10 meters and also has sharp motion detection. 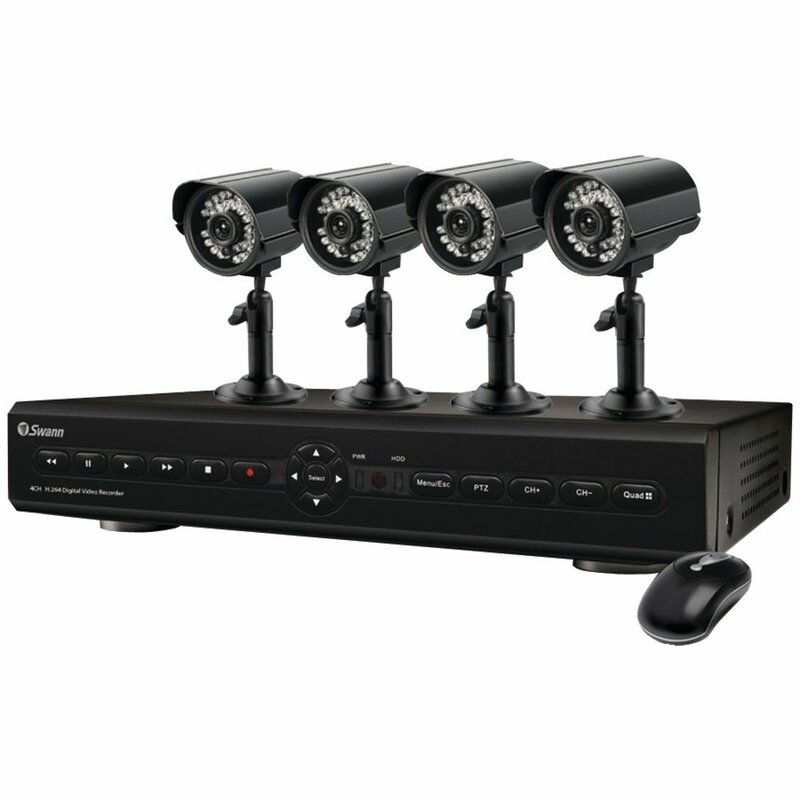 Similar to the Swann 4-Channel DVR4-2550 Surveillance Camera, the Q-See 4 Channel Surveillance System above ranges from around $200.00 – $250.00. It has a 3.7 star rating and its night vision can reach up to 100 feet. It also comes with a pre-installed 500 GB Hard drive and can only be used with DVR. The Professional 1/3”GW Aptina Security Camera is another great choice. 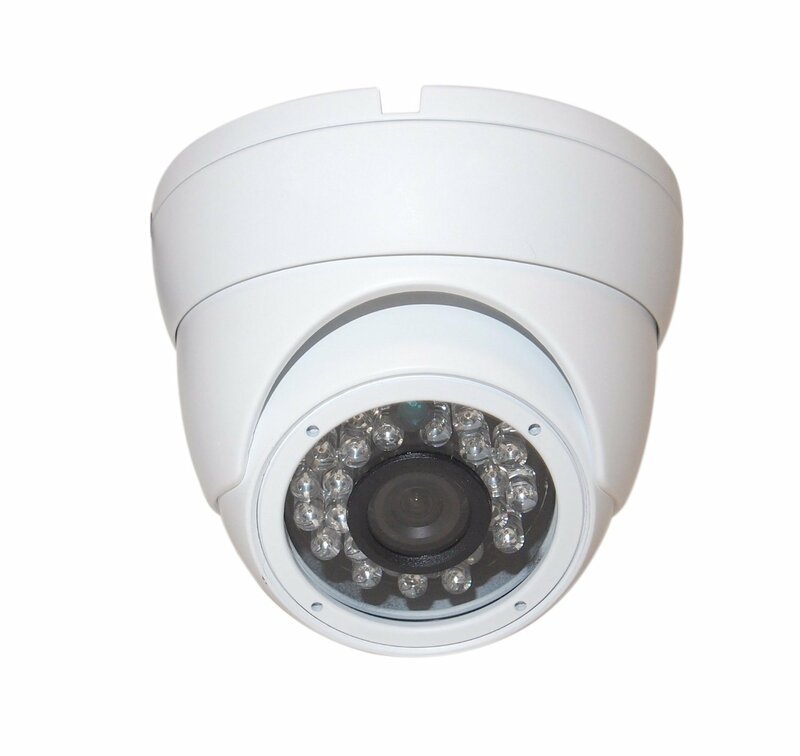 It is water proof and vandalism proof, can be used indoors or outdoors and has a 70 foot IR distance. It has a low cost in the ranges of $50.00 – $70.00 and has 3.3 stars. 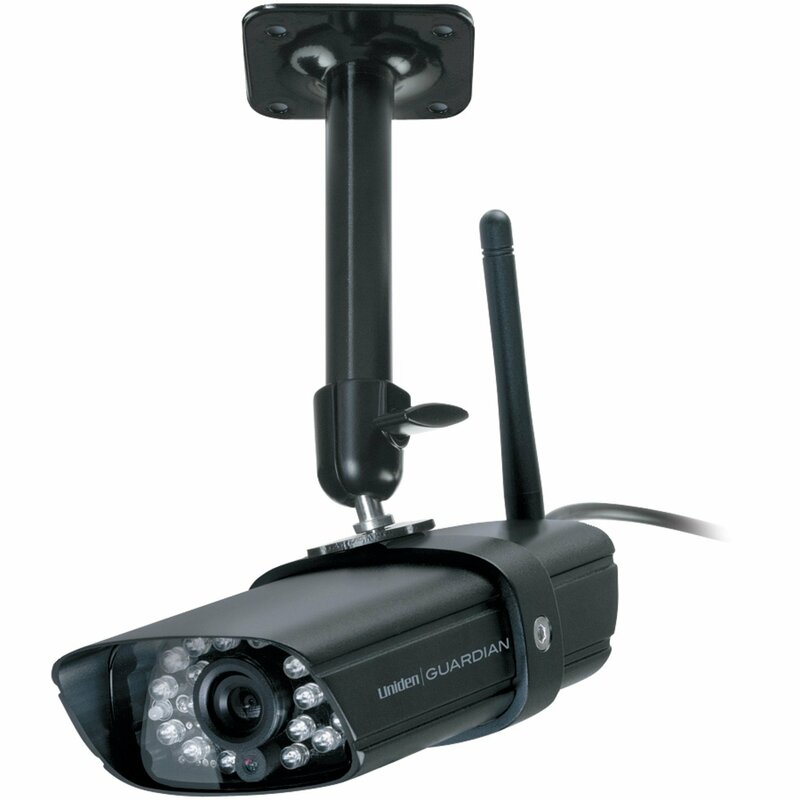 The third security system we have here is the Professional Security Surveillance Video Camera. It’s pricing ranges from $60.00 – $70.00 and has a star rating of 3.6 among its many consumers. It has a fine image processors and enhanced features. It also has the ability to zoom in and focus on something specifically. Our fourth product is the Evertech CCTV Security Camera It’s rating reaches up to 4.2 out of 5 stars and costs roughly around $35.00. It has high definition pixels and a high color resolution, and 700 TV lines. Above is the final – but absolutely not in any way the lowest– option mentioned in this review. It is the Uniden Wireless Video Surveillance Camera, and it is weather proof and vandalism proof! It is easy to set up and it comes with night vision and infrared and films in normal colors, as well. Its video range can reach up to 500 feet exactly, and it also has a 4.4 star rating of 5 stars and is roughly around $85.99. Whether you invest in one of these alternative surveillance camera options, or you go with our highly recommended Swann 4-Channel DVR4-2550 Surveillance Camera, in the end, out of all the many types and different products of security systems, it should not matter which kind you decide to purchase so long as you will feel safe and comfortable in your own property, business, and/or home with family, friends and coworkers. 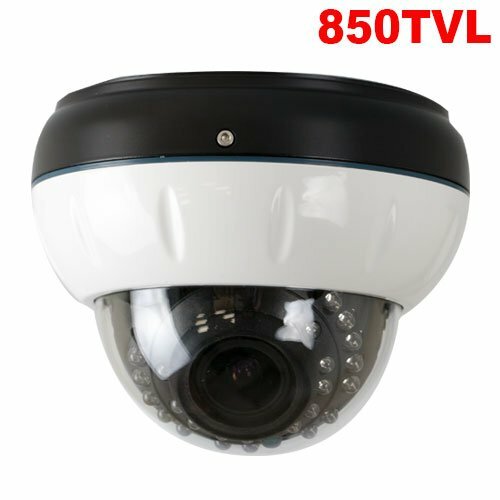 A beautifully designed, affordable, and high-quality surveillance camera system has the capability to do that for you.